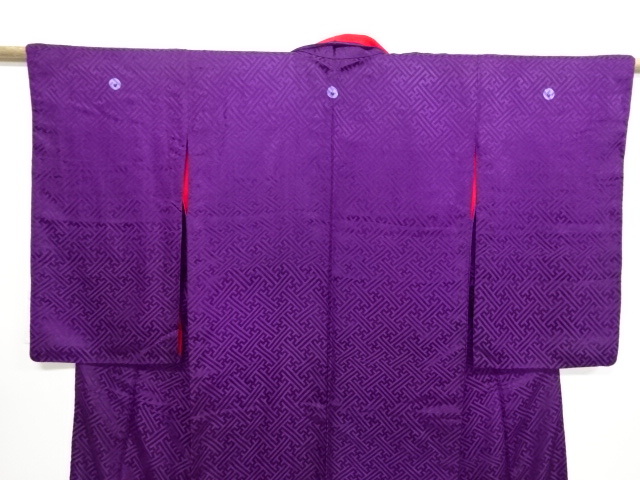 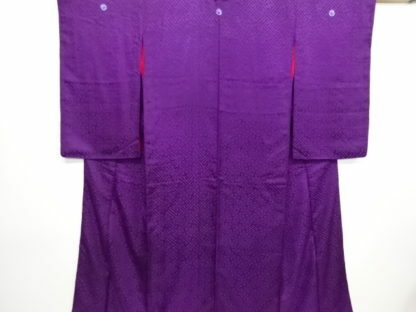 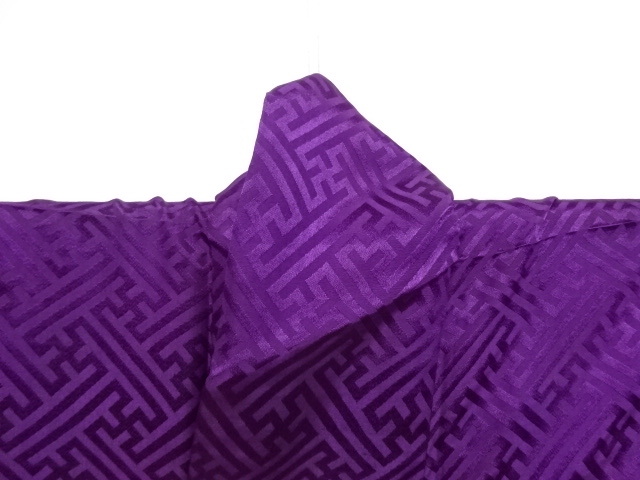 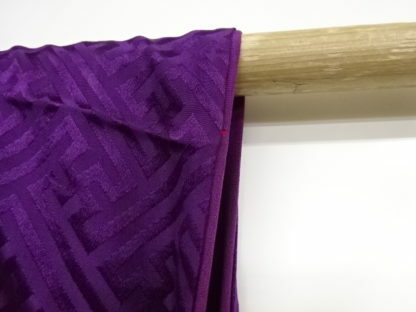 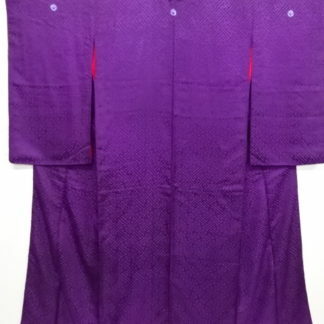 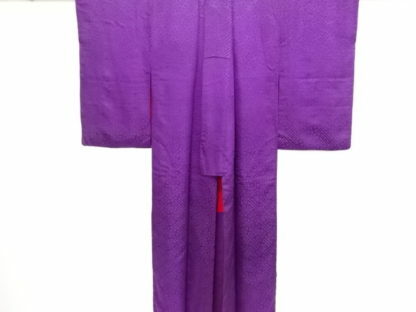 Gorgeous Antique Taisho era kimono with 3 crests, a woven sayagata pattern and vivid purple and red silk. 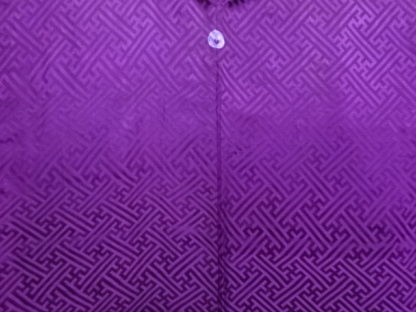 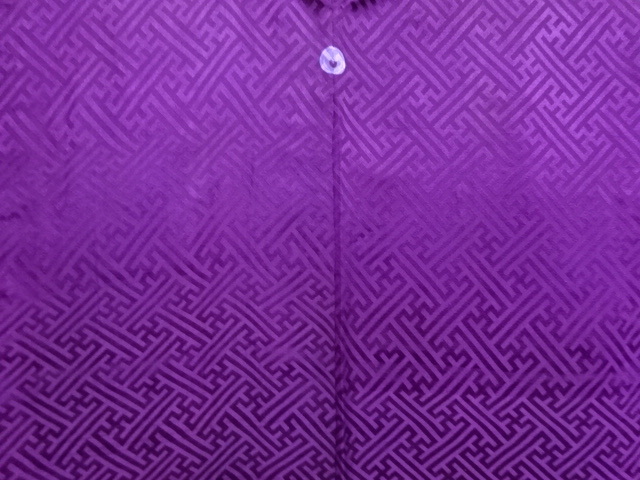 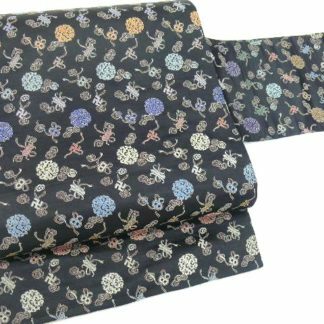 In excellent condition for its age, this is a superb looking, long sleeved, striking kimono. 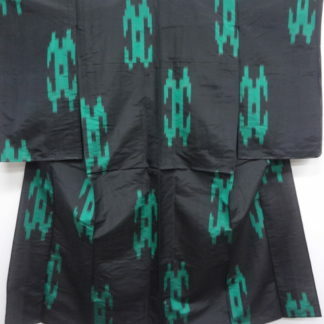 The crests are for the Fujiwara clan…. 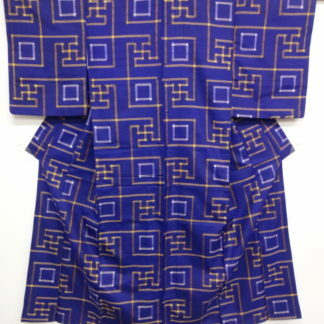 the Fujiwara were the main ruling aristocratic family during the Heian period, and all the way up to the Meiji era they were heavily intertwined with the Imperial family. 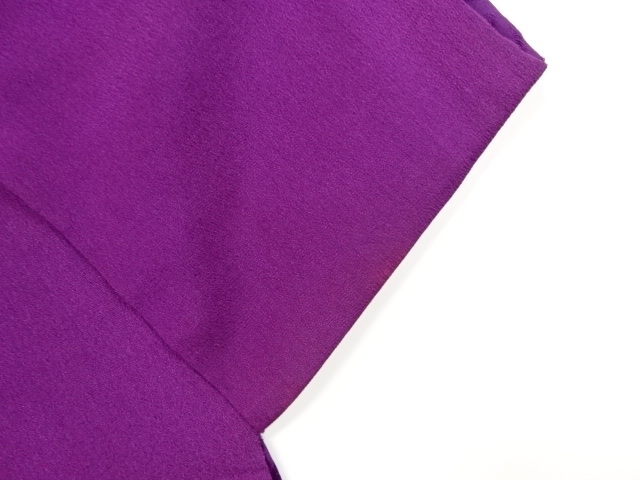 The plant on the crest is a hanging wisteria, so the purple colour is completely in keeping with the flower! 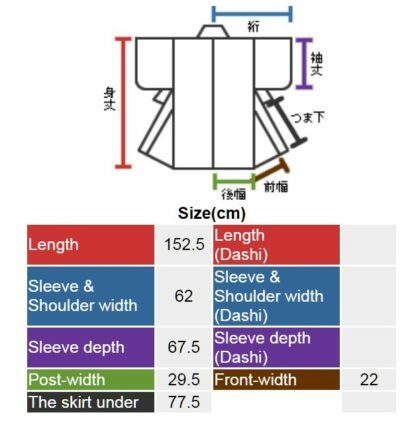 It measures 152.5 cm long, is 62 cm from the centre to the edge of the sleeve, and the sleeve drop is 67.5 cm long! 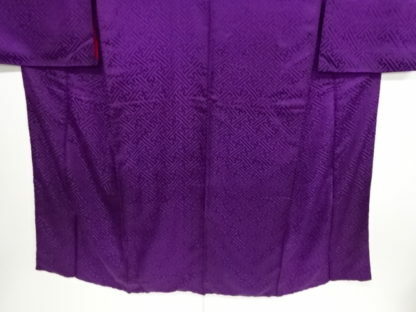 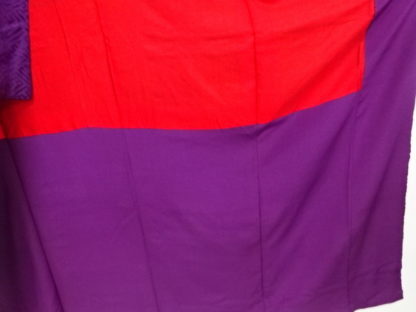 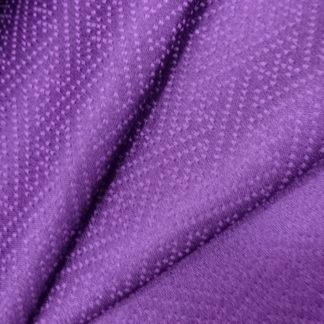 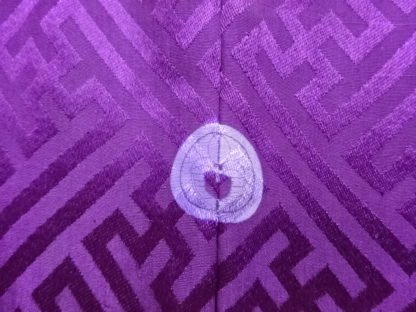 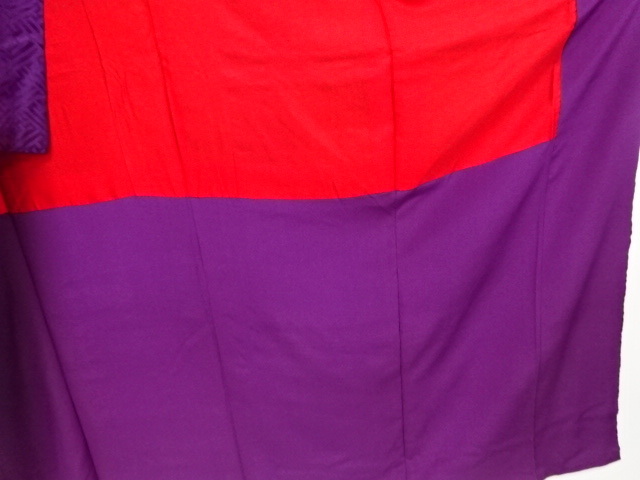 The vivid arterial red lining peeping out at the sleeve openings makes the rich purple colour seem even more alive. 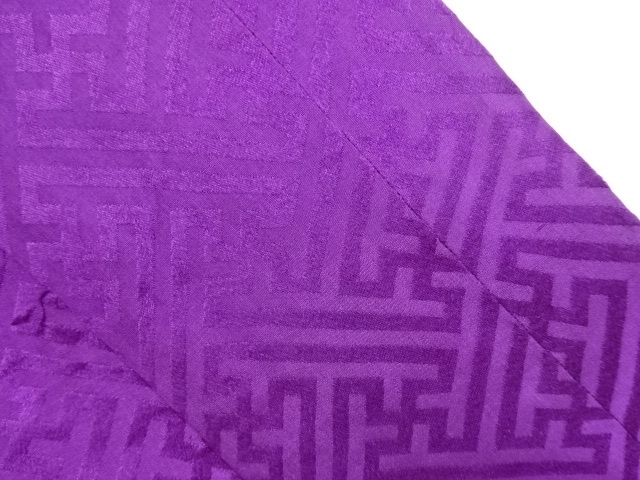 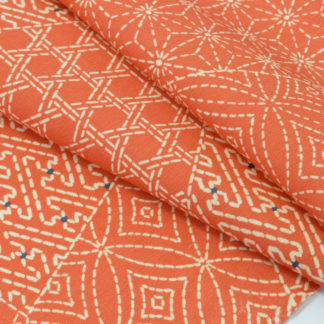 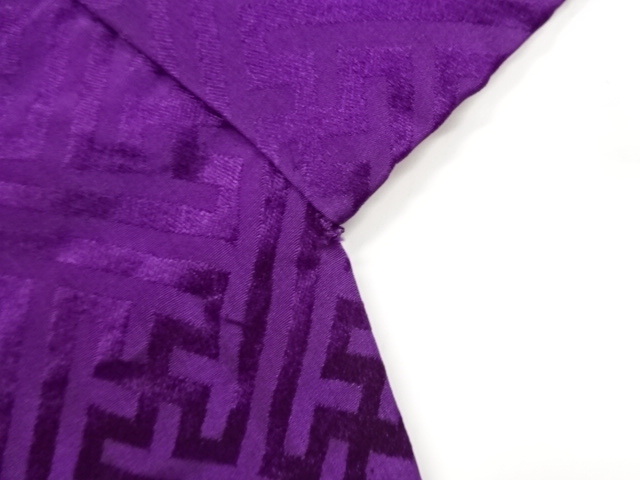 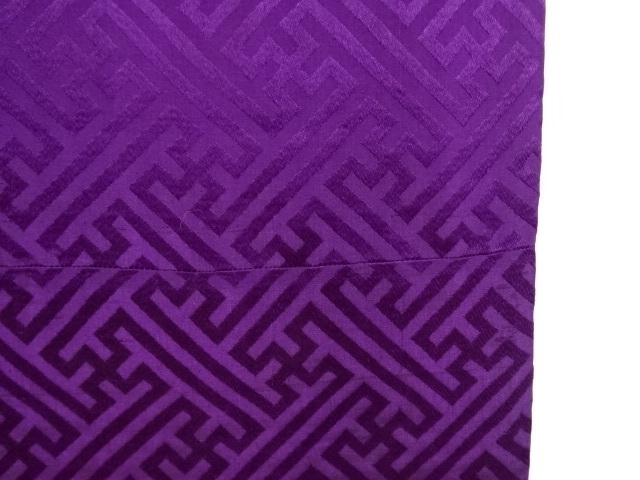 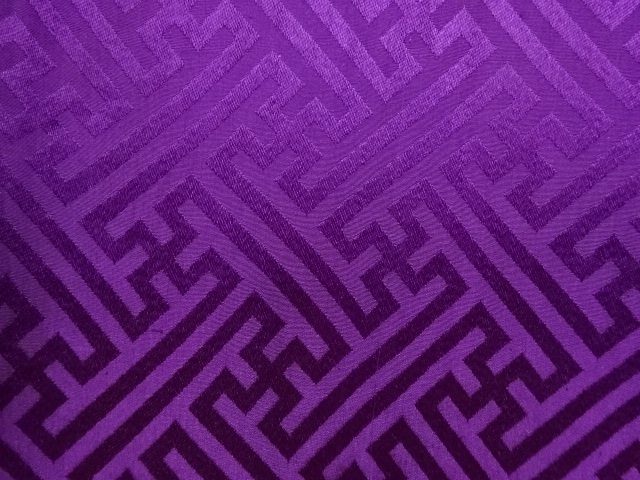 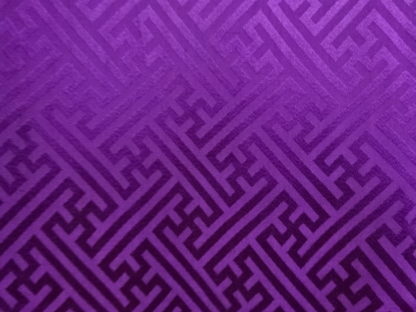 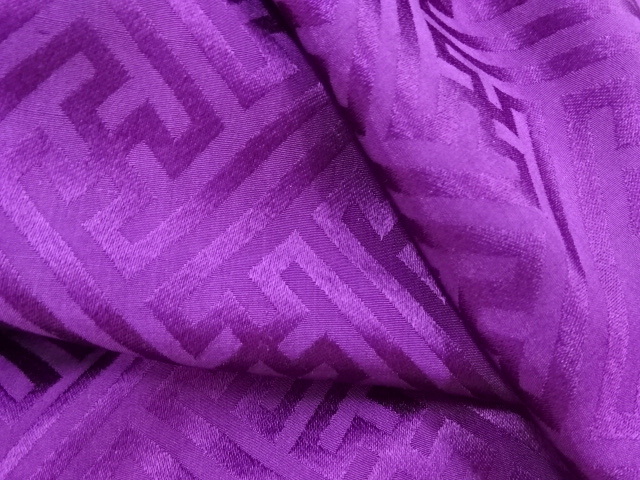 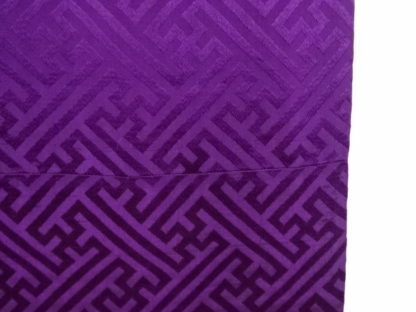 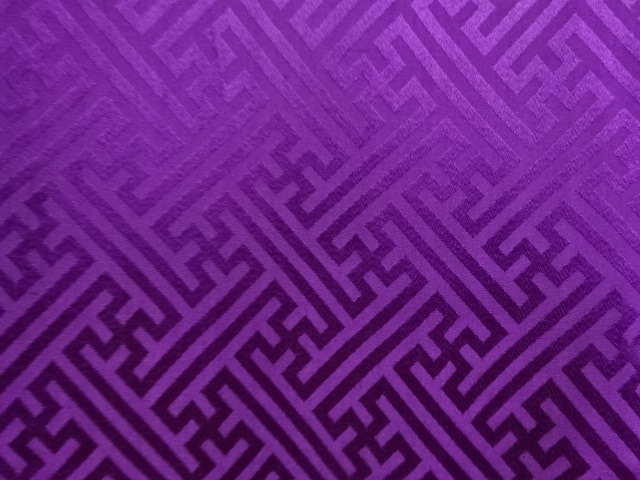 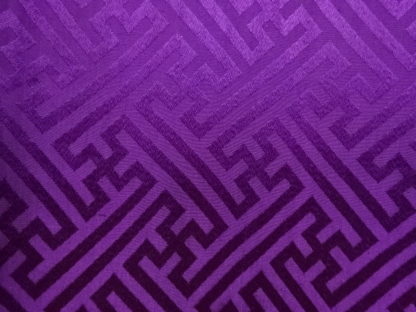 The satiny feel of the fabric and the beautiful drape lets the woven sayagata pattern be shown off really well.